Producing nice, comfortable shoes based on good lasts, top quality materials and craftsmanship. This is the purpose that founded Klaveness Footwear. According to our philosophy, footwear should be adapted to the foot and not vice versa. Therefore our product development is thoroughly assisted by designers and orthopaedic specialists whose synergies manage to create products that fulfil both aesthetic and functional criteria. In addition to this Klaveness is also striving to be a total supplier. We work hard to create an assortment of products that creates a complete spectrum that can serve the needs of our customers. This collection is an important part of the Klaveness shoes development. The goal is perfect fit and tasteful aesthetics. High quality materials and handcraft ensures excellent footwear for daily life." The folklore shoe is a complementary product to the Norwegian national costume. Klaveness is proud of maintaining this tradition. Inspired by Nordic History, made with high quality, natural materials, such as wool felt, fur and leather. Its unique construction provides the user with the benefits of warm wool and comfortable support. A range of footwear based on special lasts, using the finest materials and production methods in order to fulfill the special needs of people that cannot find fitting footwear amongst the more commercial brands. People suffering from rheumatism, diabetes and other foot ailments often require special footwear for prevention and treatment. Klaveness range of rehabilitation footwear includes styles with different features covering the main treatment needs. 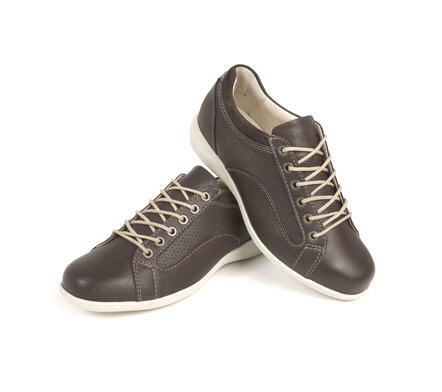 FIA concept is a selection of carefully selected styles that can be easily adapted to fit patients’ feet. It offers extense modification possibilities and the patient can also select the styles, colors and soles that best fits his lifestyle. OAS is customized footwear on standard lasts with even more adaptation possibilities than FIA. This offers solution to special cases without geting into the OIL range. OIL footwear is designed according to the clinics and patient’s needs. Orthopaedic footwear can be based on Klaveness as well as styles outside the product range. CMF insoles are developed to help people manage conditions that can cause pain or discomfort during walking, running and everyday activities.